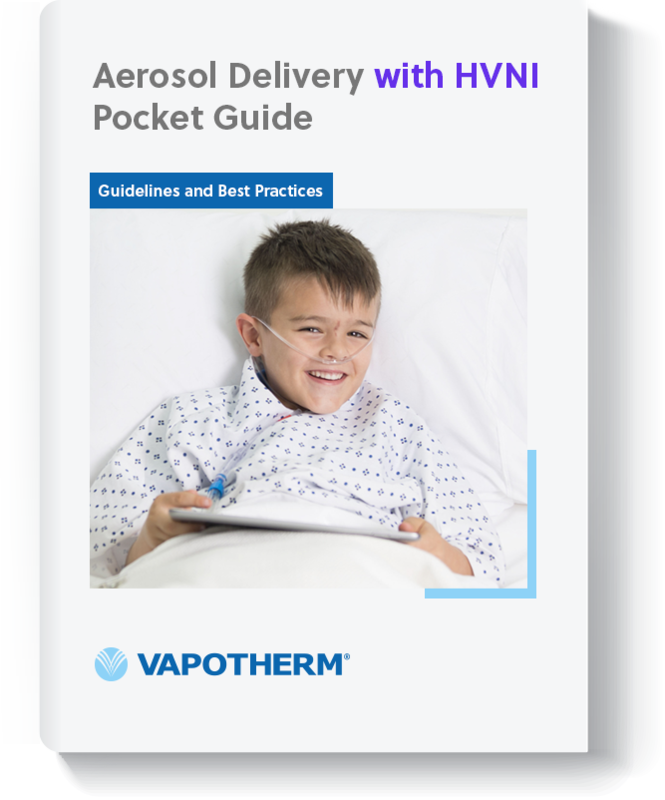 We've created a quick pocket guide of practices of aerosol delivery during High Velocity Nasal Insufflation (HVNI). These guidelines are based on Vapotherm’s assessment of peer-reviewed published literature, physician interviews, and physiological modeling. Providers should refer to the full indications for use, operating instructions, and/or prescribing information of any products referenced before exercising their independent medical judgement.